Almost everything people eat nowadays contains sugar. As it enters the body in excessive amounts, it could lead to having high blood sugar levels that lead to diseases like type 1 diabetes which is detrimental to overall health. It is important to recognise type 1 diabetes symptoms and visit a GP for treatment and management. 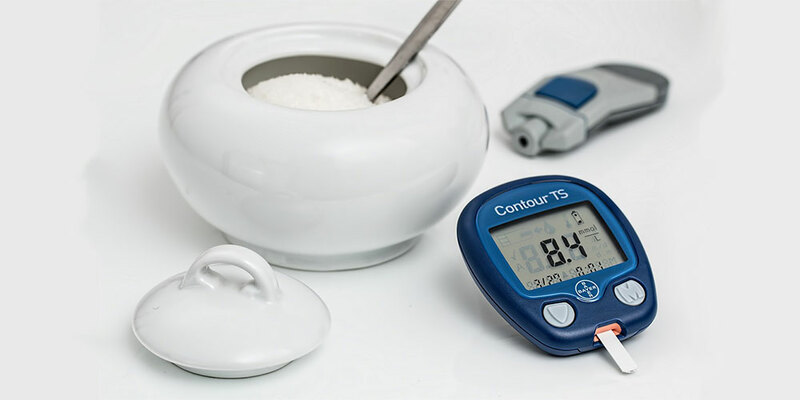 Type 1 diabetes occurs when the pancreas does not produce insulin, a hormone responsible for transporting glucose from the bloodstream and into the cells that uses it as energy. It usually arises in children and happens for most adults younger than the age of 40. Different factors such as genetics and racial origin may also contribute to developing this chronic illness. People who have type 1 diabetes must take insulin for the rest of their life and test their blood sugar levels several times throughout the day. Without insulin, their body will burn its own fats and undergo the state of ketoacidosis, where dangerous chemicals (ketones) accumulate in the blood. Mood changes. This is probably one of the first sign of abnormal blood sugar levels, causing the patient to become sad or irritable. Excessive thirst and frequent urination. This happens when glucose becomes extremely concentrated on the bloodstream and the kidneys could not pull it out from the water. If the kidneys cannot keep up, the excess glucose is excreted into the urine, dragging fluids from the tissues. Weight loss. This occurs when, in the absence of glucose in the bloodstream in type 1 diabetes, the body starts burning fat and muscle for energy, which results in sudden weight loss. Constant hunger. As the body experiences the lack of or resistance to insulin, glucose from the blood cannot enter the cells and the body cannot convert it energy, either. This lack of energy causes constant hunger. Blurred vision. This happens as high blood sugar levels cause the lens of the eye to be swollen, affecting one’s vision. Cuts or sores that don’t heal properly. Diabetes causes slower blood circulation, prevents nutrients and oxygen from energising the cell, increases inflammation in the body’s cells, and prevents the immune system from functioning properly. Frequent infections. High blood sugar levels encourage the growth of some bacteria and yeast. It can also cause poor blood circulation that makes it hard for the body to fight infection and compromise the immune system. Abdominal pain. Diabetes can cause abnormal contractions of the stomach and intestines that move food along the digestive tract. If the movement is slowed, it causes food to be retained in the stomach longer, causing nausea or vomiting. Fatigue or weakness. Blood becomes sludgy when glucose level is high, slowing down circulation and depriving cells of oxygen and nutrients they need. Meanwhile, if glucose level is low, there is not enough fuel for the cells to work well. Rapid or laboured breathing. This is a symptom of diabetic ketoacidosis, a complication characterised by high blood sugar levels accompanied by high level of ketones in the blood. Are you experiencing Type 1 Diabetes Symptoms? The team at Ubuntu Medical Stafford can help you. Call us today on (07) 3857 3777.